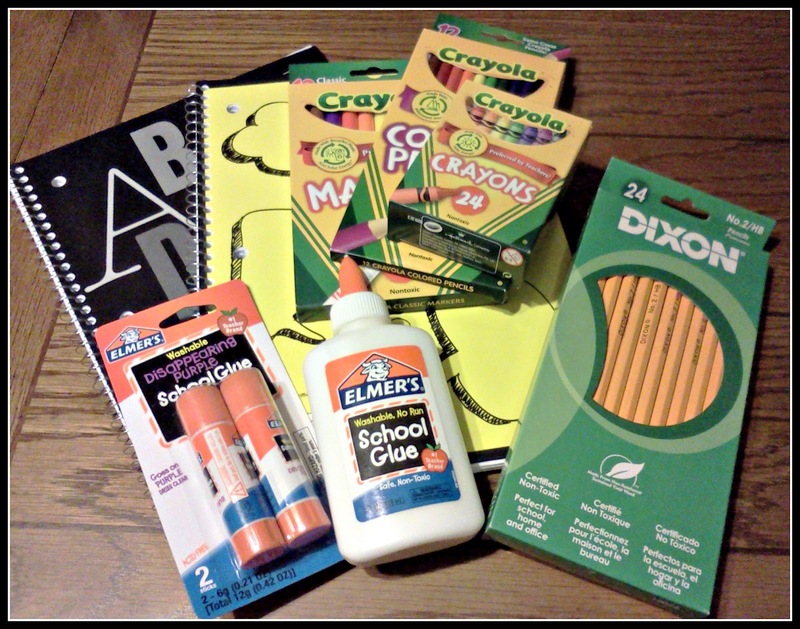 With summer coming to an end it's time to start planning for Back-To-School. With five kids I know there's only one place to go for all our quality school supplies and that's Walmart. They really do have the lowest prices and if you find a lower price in an ad they will match it. Every school year I like to help my kid's teachers with their donation lists that are sent home and I will continue to do that but this year I am doing something a little different. I am part of a Bag It Forward campaign. 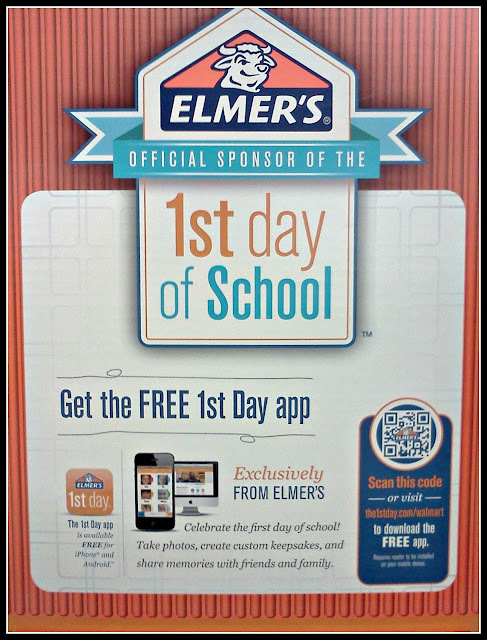 I will also being celebrating my kid's first day of school with Elmer's 1st Day App. 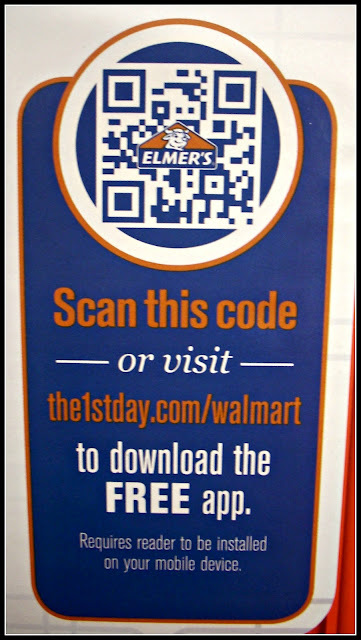 You can also download the app at your local Walmart using the QR code like the one shown below. Being a part of the #BagItForward campaign meant that I would need to shop for a special teacher and a child to surprise with back to school items. So it was off to Walmart for me! 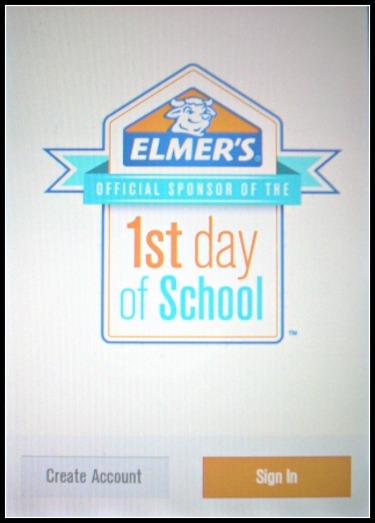 I downloaded the Elmer's 1st Day App right away! With this great new app you can take your kid's pictures in a whole new way! 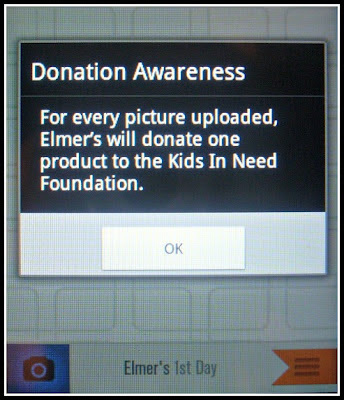 The Elmer's 1st Day App isn't just your ordinary app, for every photo that is uploaded Elmer's will donate a product to The Kids In Need Foundation. To get more information about this app & download it check out this website. Just look how inexpensive it is to purchase Elmer's glue! 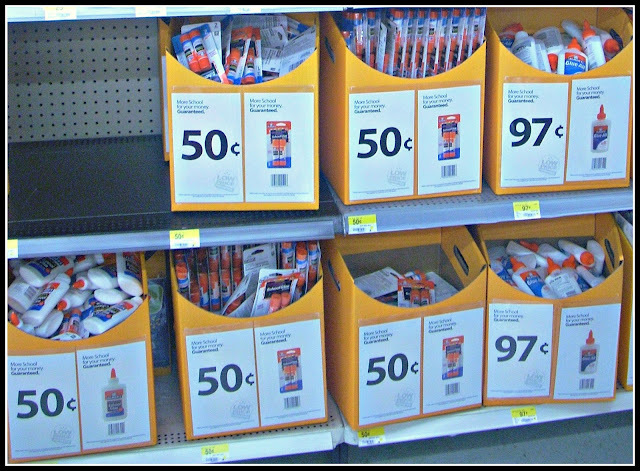 There are so many different varieties to choose from but I know that my special teacher will want Elmer's School Glue & School Glue Sticks. 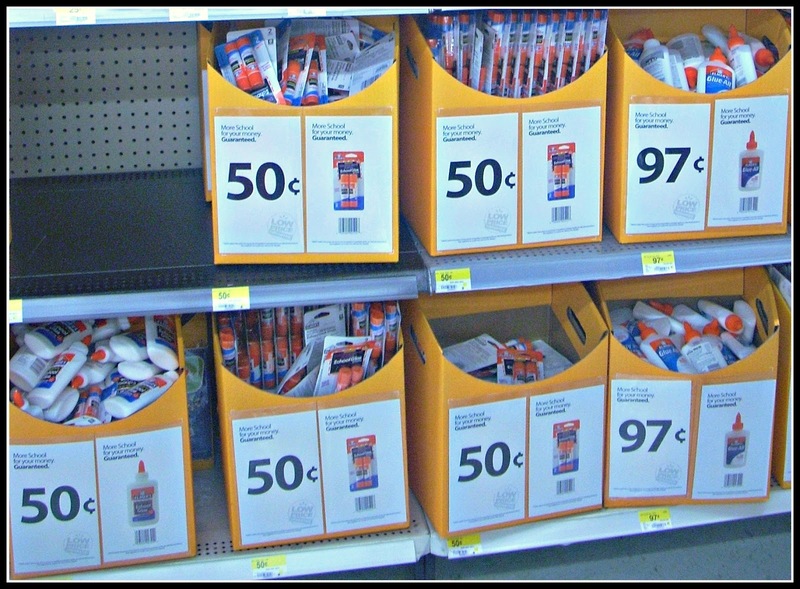 Which if you are lucky you just might be able to purchase the individual Elmer's School Glue Sticks they were 10cents a piece at my local Walmart but the container was empty! I had already decided on what I wanted to make for my special teacher even though I won't be able to surprise her just yet, I will make sure to post pictures of me surprising her and one student as well. Here is what I came up with for my special teacher. I am not 100% finished with the donation for the child. I would still like to purchase a backpack and maybe some more items from Walmart. Here is what I have right now, it's still a nice little package but I want to do something more. I hope this will inspire you to #BagItForward and if you do already then continue supporting teachers, they need it and appreciate it! You can see my entire shopping experience on my Google+. If you would like to see more Bag It Forward pictures you can see them at this Pinterest board. Make sure to follow Elmer's on their Facebook page and on Twitter. I love this program. The new app sounds great too - another way kids win! 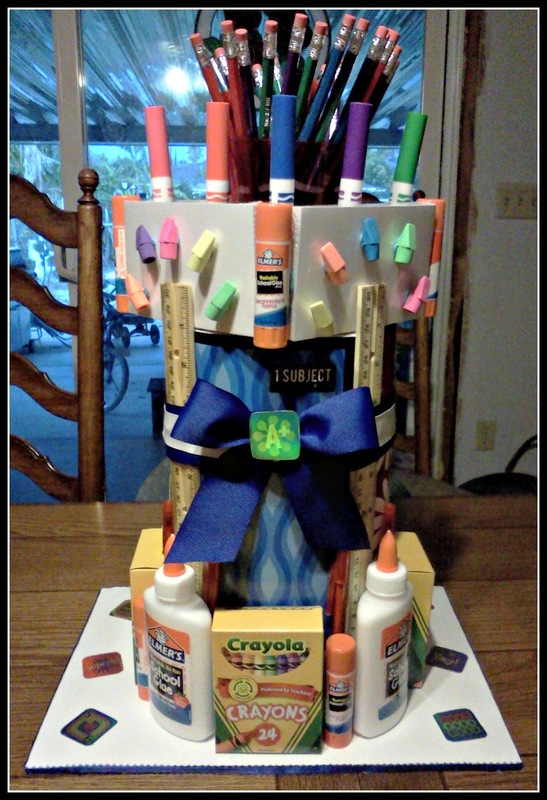 Your cake is so awesome!! I love it!! What a fun and special way to say thank you to an important teacher! Thank you for Bagging It Forward and encouraging others to do the same this B2S season!